Was created by 10 students from the Master Artistic Research, we had 10 days working in the exhibition space. We questioned the status of a traditional group show, opening up our practice to each other, by arranging workshops, performance and lectures from each individual artist practice. Each individual participant had the resource from the group for half a day to work with their own individual practice. The result was a group work with each individual artist contributing a video documentation of what had happened during the half day with the group. 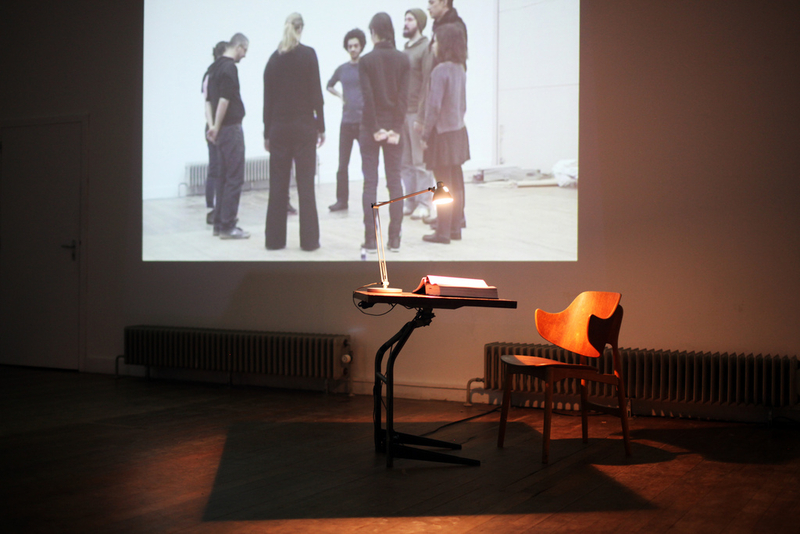 Was the work that I as an individual artist contributed to the collective work was a performance video. 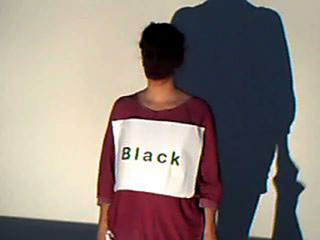 The work consists of five female performers each wearing an A3 paper with a colour name underneath their clothes. There was a continually running slide projector that would change between light and dark, each performer would one by one step in to the light and take of their upper layer of clothes (please see video 6 in video documentation) The action of revealing a colour name underneath the close became a try out of a human embodiment of a word, question how are we really with in a group, revealing that the light consist of all colours that the eye can not see.